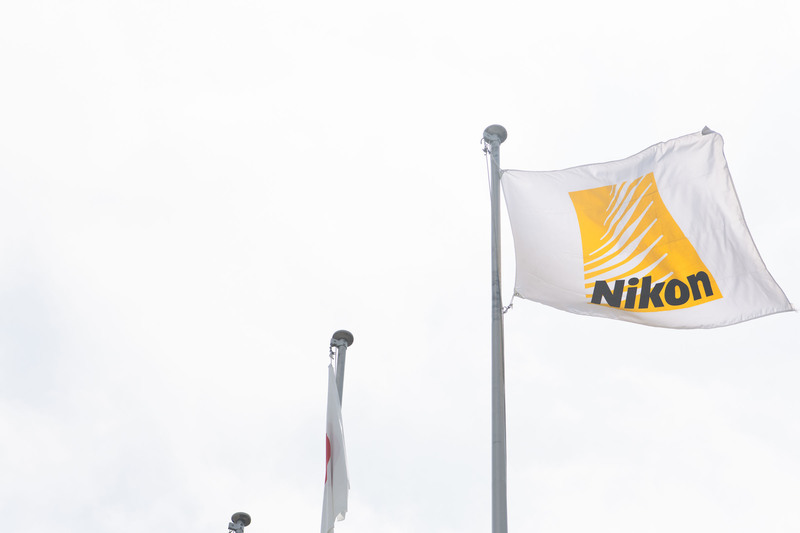 Covering almost 27,000 square meters of floor space, Nikon’s Sendai factory in the Tōhoku region North of Japan has been churning out cameras and lenses since 1971. I had the opportunity recently to visit Sendai during events to mark the launch of Nikon’s new Z mount. This was my second visit to the Sendai facility, and while much has changed since my first trip back in 2007, Nikon’s commitment to security at the factory has not. None of the journalists present on our tour were permitted to take photographs or notes of any kind, and all of the images in this article were supplied – without captions – by Nikon. As such, you might find that my descriptions of the processes shown in these images are less specific than some of our previous factory tours, but I hope you find this article interesting and illuminating nonetheless. Nikon’s Sendai factory opened in 1971, and aside from a brief three-week interruption caused by the earthquake of 2011, it has been operational ever since. 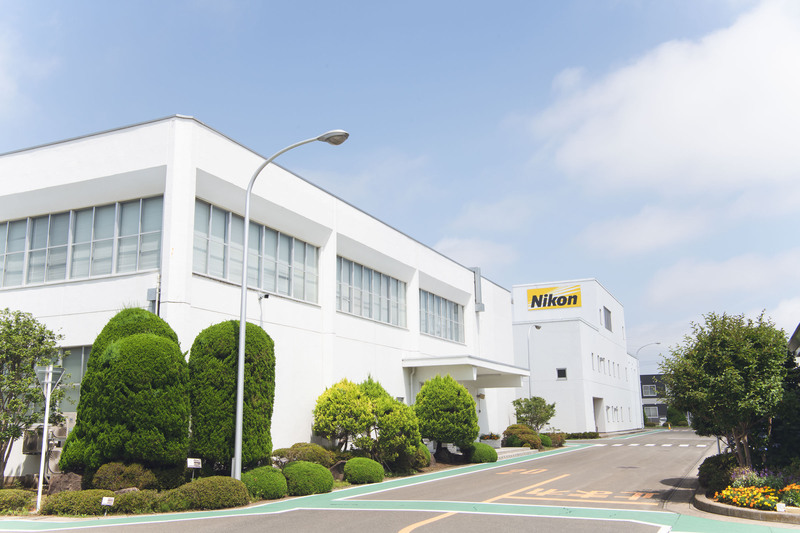 Currently home to 352 employees, this facility is where Nikon’s pro-grade D5 is made, along with the new Z7 and the F6: Nikon’s professional film SLR. 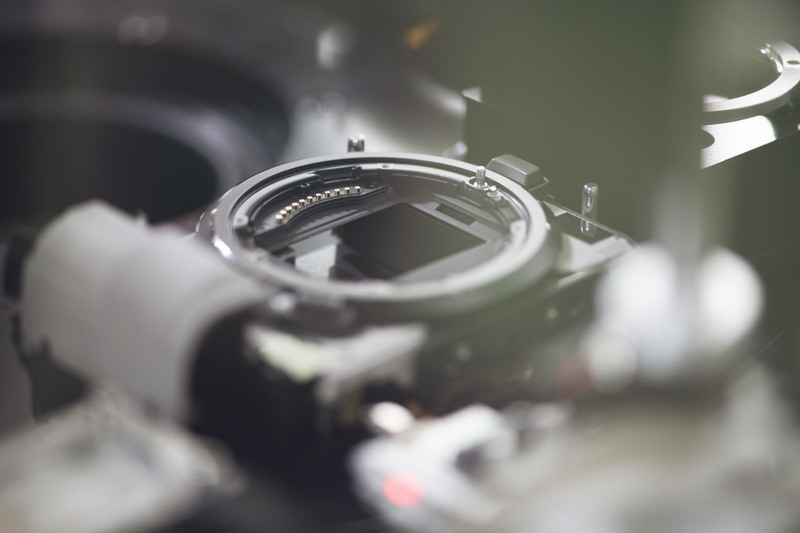 At the heart of any interchangeable lens camera is the mount. Nikon makes body and lens flanges for both the F and Z mount at Sendai, from brass and stainless steel. While professional-grade ILCs (D5/D850/Z7) utilize stainless steel for their mounts for maximum strength, Nikon’s enthusiast range (D500 and below) use brass. 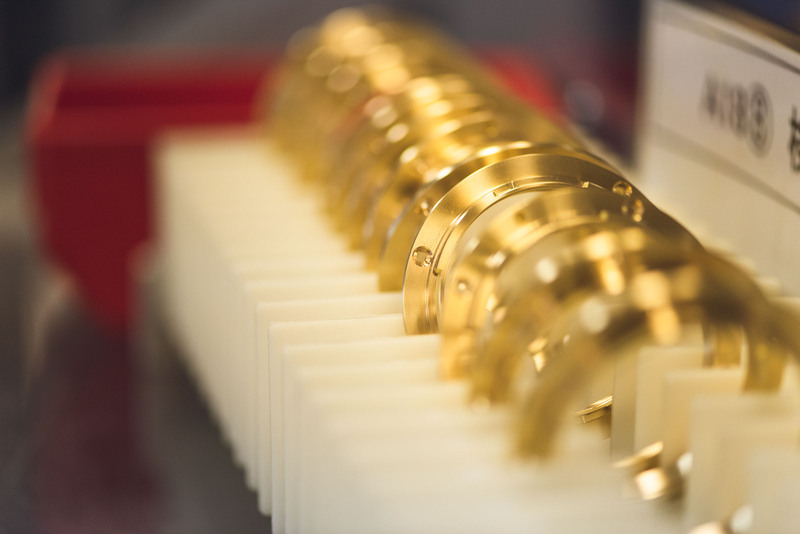 Brass is softer and easier to machine than steel, but deforms more easily. This makes it risky for the Z mount, with its short flange-back distance of only 16mm. On the lens side, Nikon’s low-end consumer zooms use plastic mounts, and all of the rest employ brass. After being drilled and milled by automated CNC machines, the mounts are checked. This image shows a new stainless steel Z mount, which features a 55mm inner diameter – much wider than the 1950s-era F-mount, and more able to accommodate ultra wide-aperture lenses. Despite the arrival of the Z-mount, Nikon is at pains to stress that the F-mount isn’t going anywhere, with one executive describing F and Z to me as “two wheels running our business”. These are the rear shells of Nikon’s new Z7 – Nikon’s first high-end mirrorless interchangeable lens camera, which is being manufactured here alongside the D5. The Z6 is a little bit further out, and when I visited Sendai last month it had not yet entered mass-production. 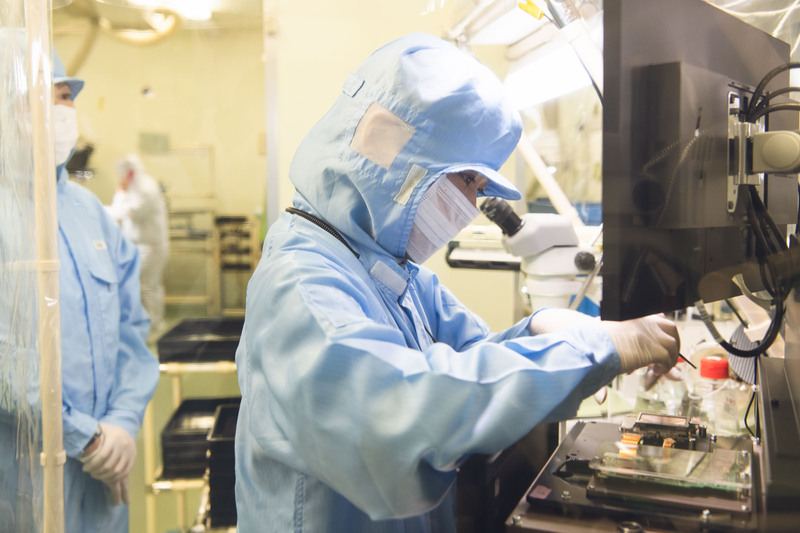 New technologies call for new manufacturing processes, and while much inside the Sendai facility line looked familiar from my last visit, the Z7’s assembly line is very different from the traditional ‘cell’ manufacturing layout of the past. Previously, an individual worker might complete a limited number of steps (or sometimes just a single step) before passing the camera along to the next of many ‘stations’. 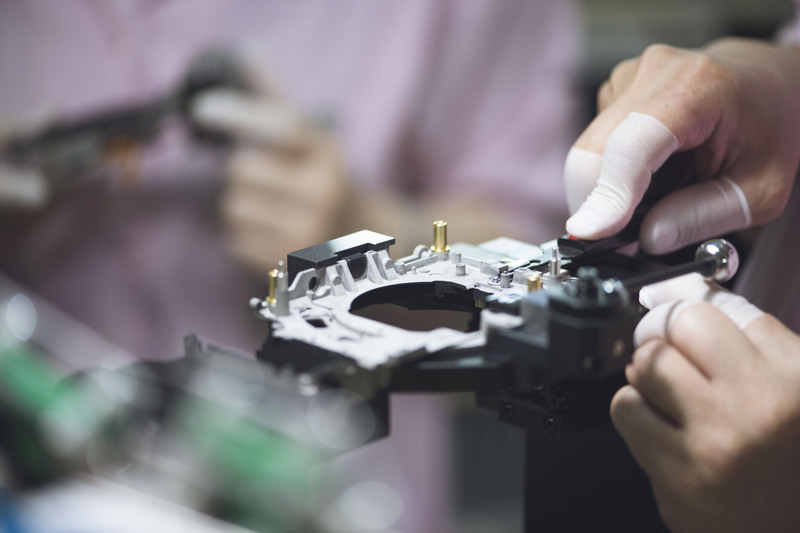 These days, a single technician might work on a single component or camera chassis for some time, performing a series of complex steps in parallel with their co-workers before passing it on down the line. 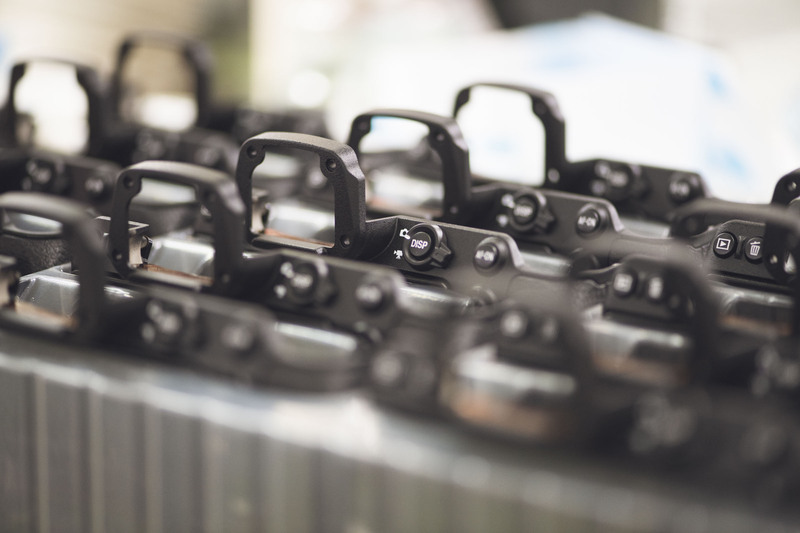 The technicians’ lives are made easier by new custom jigs, which hold the Z7 chassis securely and allow the camera to be quickly rotated in order for sub-assemblies to be attached to either side. This is quicker (and probably considerably more comfortable over hundreds of actions) than the worker having to rotate the camera in her hands. Anyone familiar with ‘kaisen’ concepts of continuous process optimization will recognize this focus on improving ergonomics as a way of increasing productivity and consistency. Not shown in these pictures is a very neat automatic screw-dispenser, which guides technicians through the type and number of screws required for each step, and the order in which they should be attached. The screws are dispensed from a series of overhead trays and grabbed by the technician using magnetic screwdrivers. LED displays count down the required screws for each sub-process, so that there’s no risk of missing a step. 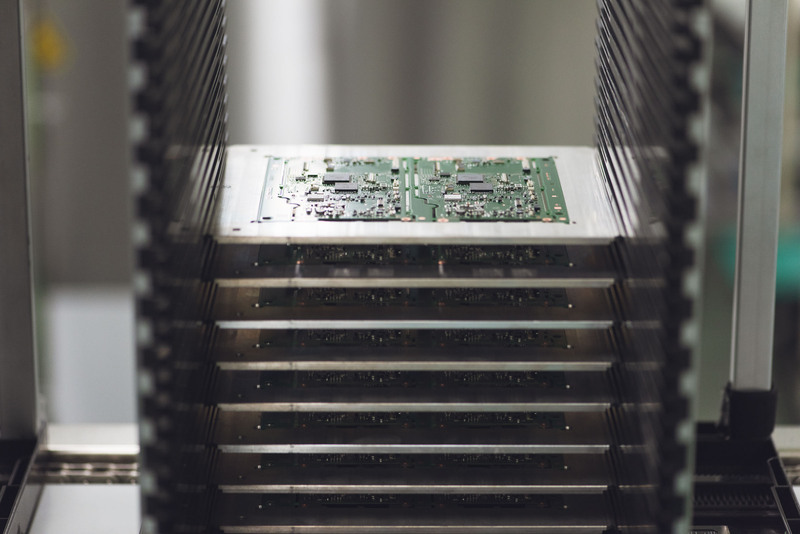 This is a stack of printed circuit boards, awaiting incorporation into Z7 bodies. Not shown in any of these images is one of the most visually interesting element of the Z7’s assembly line: large ‘CARL’ (pronounced ‘Carol’) assembly robots, which take care of a lot of the ultra high-precision assembly steps inside sealed assembly units. CARL stands for ‘computer automated robotic assembly’ and the CARLs themselves look like scaled-down versions of the large robotic arms used in modern car manufacturing. Capable of swapping their own tool heads multiple times when working on a single assembly, the CARLs move quickly and with extraordinary precision – which is precisely the point. 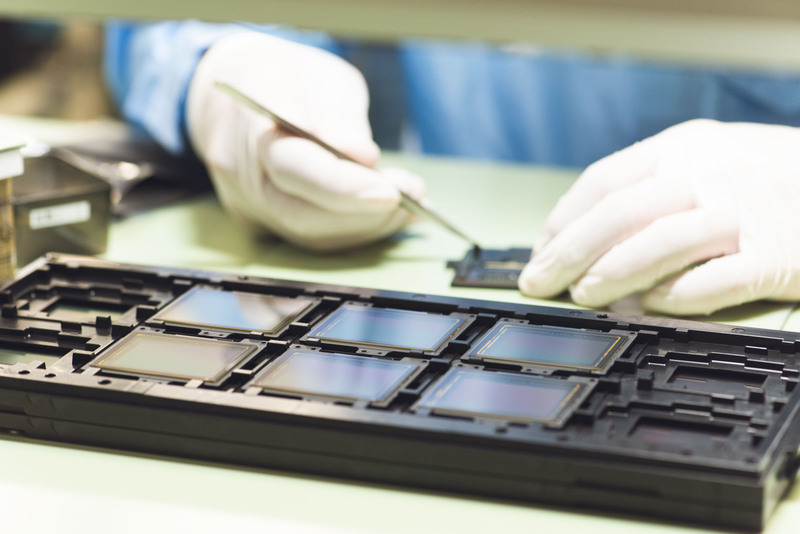 Inside the Z7 is a newly-developed, Nikon-designed BSI-CMOS sensor that is closely related to the 47MP chip used in the D850. 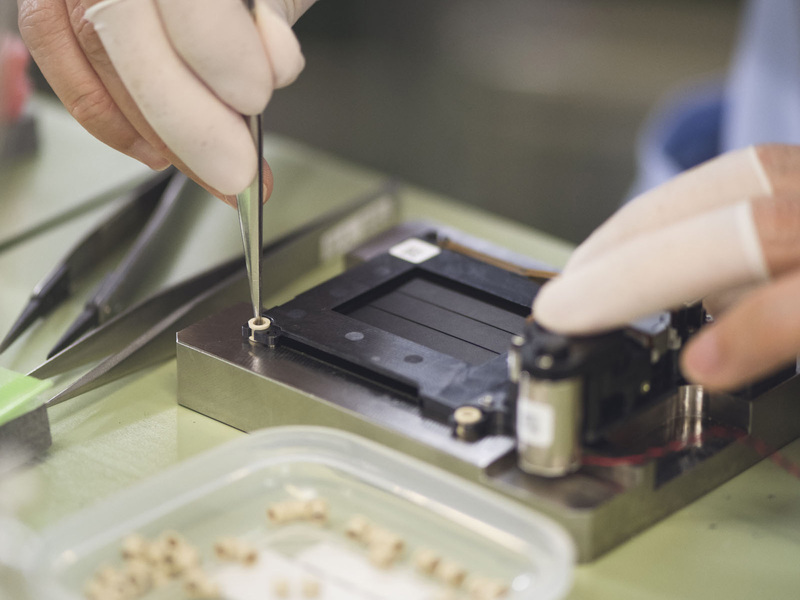 We didn’t see this stage of assembly – presumably because of the more stringent environmental hygiene requirements of any space in which sensor components are processed. A sensor and VR unit destined for the Z7, combined on a custom jig. 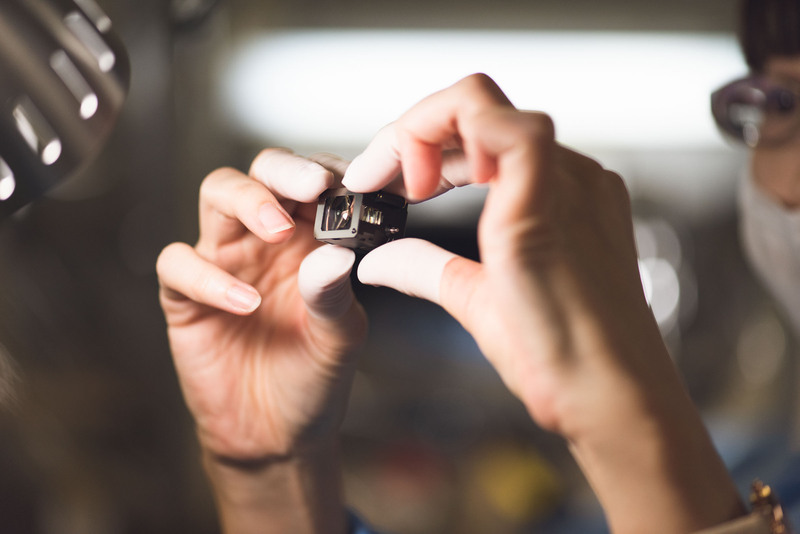 The Z7’s shutters are manufactured in-house, and each shutter unit is tested and adjusted individually prior to being incorporated into the camera bodies. Nikon’s shutter testing procedure is an evolution of processes originally designed for the high-precision shutter used in the F4, released thirty years ago. The Z7’s high-resolution viewfinder wasn’t even dreamt of when the F4 was released. 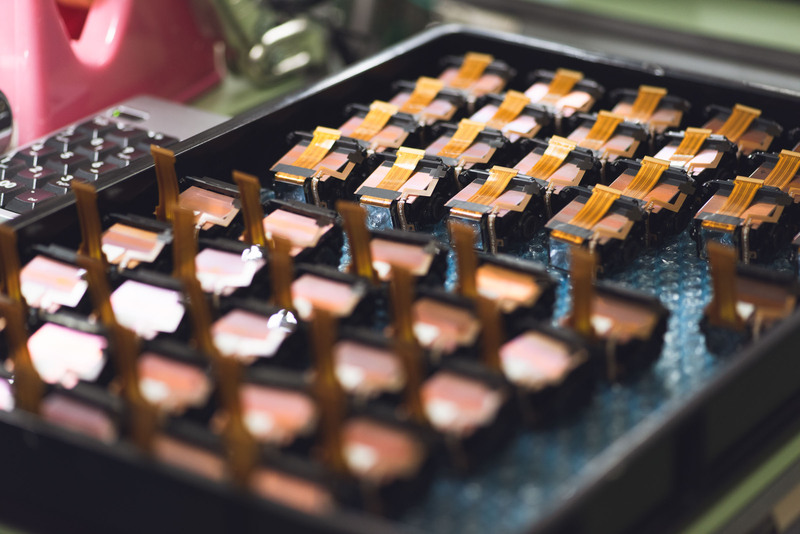 Here, several EVF units sit in a tray awaiting incorporation into Z7 camera bodies. The Z7’s EVF is excellent, thanks in part to the unusual complexity of its optics. 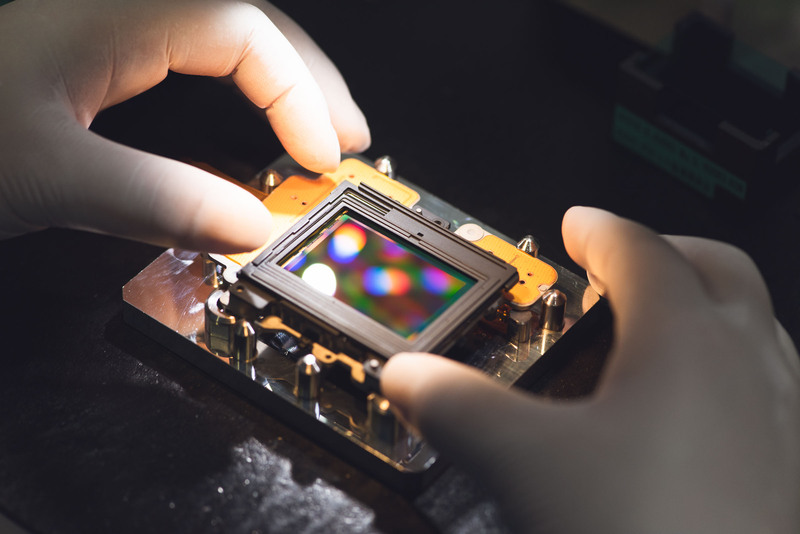 The optical unit contains multiple lenses including an aspherical element, and the viewfinder assembly, centering and checking processes that I saw in Sendai were extremely similar to those I’ve seen in modern lens factories. Here, physically complete Z7 bodies sit on a carousel awaiting final QC. Once firmware is loaded into the physically-complete cameras, technicians check test images and video footage on every Z7 using the ‘load settings interface’, to make sure that everything plays back as it should on-screen and over HDMI. Some checks – like that one – are performed on every single Z7 that leaves Sendai, while others (such as environmental or durability tests which might involve deliberately testing parts to destruction) are performed on random samples from the line. 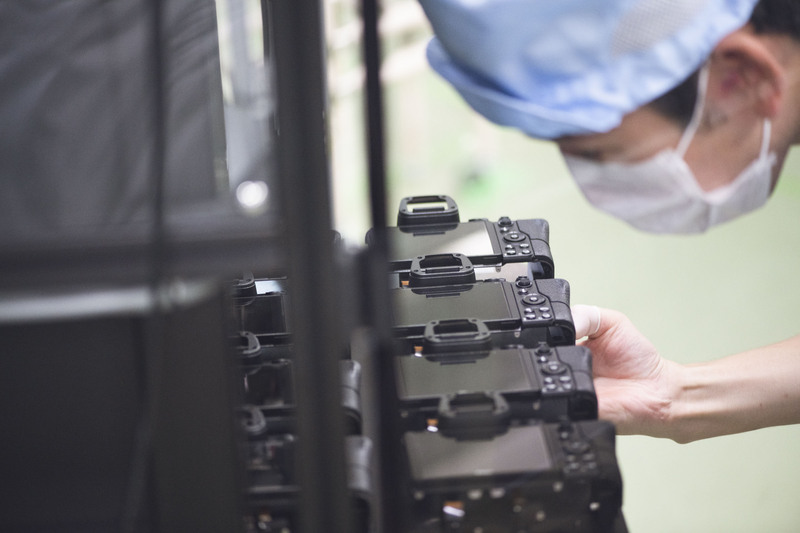 Nikon told us that each Z7 is checked more than 100 times during assembly. A completed Z7 undergoes a manual check, prior to final testing. 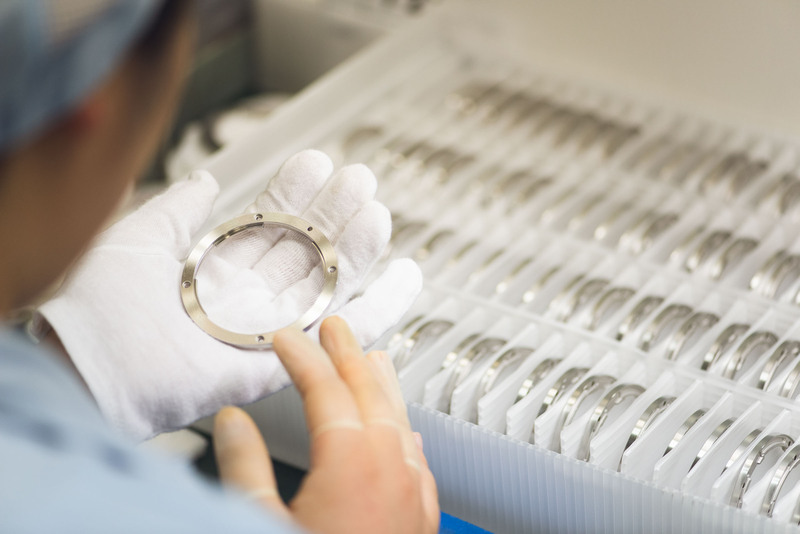 As you may have gathered, a lot of manual tests and checks are carried out at Sendai but roughly 76% of the Z7’s manufacturing is automated, compared to 55% for the D5. The final testing process (which again, unfortunately, we can’t show you) is one of the most space-age looking parts of the entire Z7 manufacturing line. Finished cameras are placed in carrier frames and ingested into a very large, long, sealed case inside of which are several (Dave Etchells counted 16 and I have no reason to doubt him) mounts on a large panel. Robotic arms pick up Z7 bodies and present them to the mounts, after which an unspecified number of tests are run, for undisclosed reasons – possibly color response calibration and/or exposure meter baselining. Once the tests are complete, the robotic arms pluck the Z7s from the mounts and out they come, ready to be boxed and shipped. 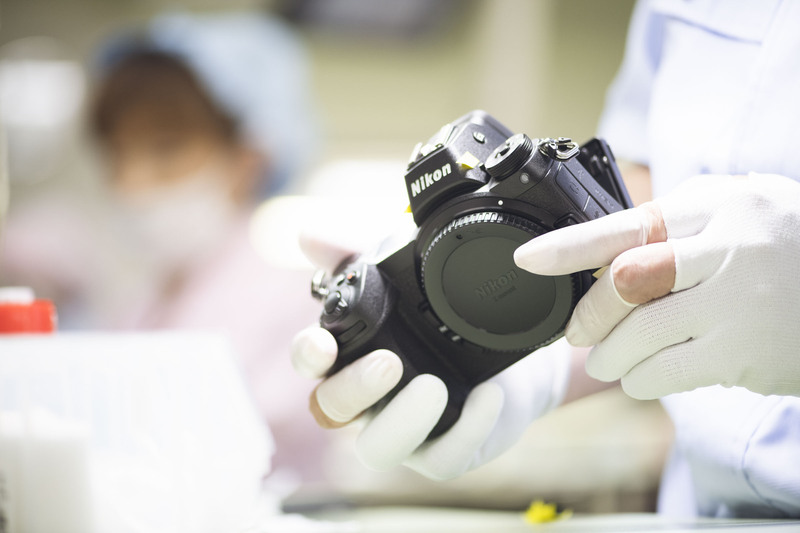 I wish I could show you a little more of Nikon’s Sendai factory, but Nikon is understandably very protective over the proprietary processes involved in manufacturing its high-end cameras and lenses. I’m more than happy to respect the company’s wishes here, in exchange for a rare chance to once more see inside the facility. 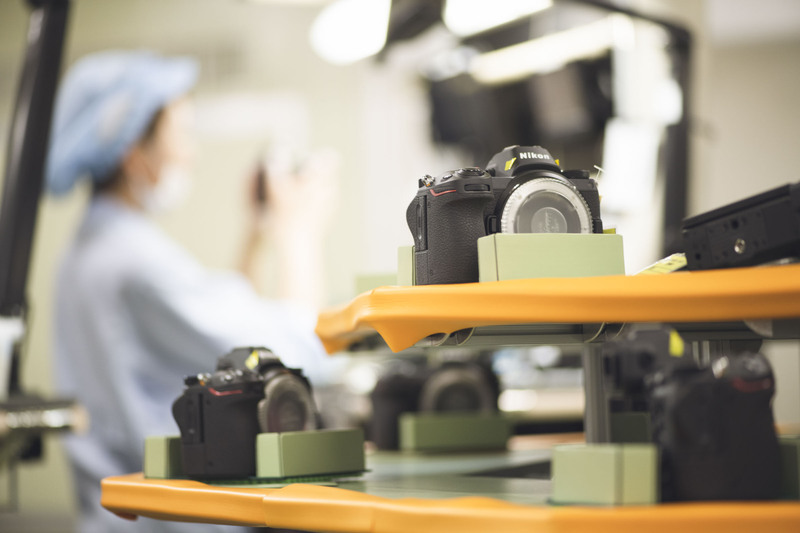 When I last visited Nikon in Sendai 11 years ago the then-new D3 and D300 were coming off the production lines, but the Z7 is a different beast altogether, and requires a different approach to manufacturing. Despite the increased amount of automation involved in creating the Z7, I was impressed by the sheer number of QC steps that Nikon has inserted into the camera’s assembly. Anyone contemplating investing thousands of dollars into a new camera must be reassured to know that it’s been checked more than 100 times before even making it out of the factory. 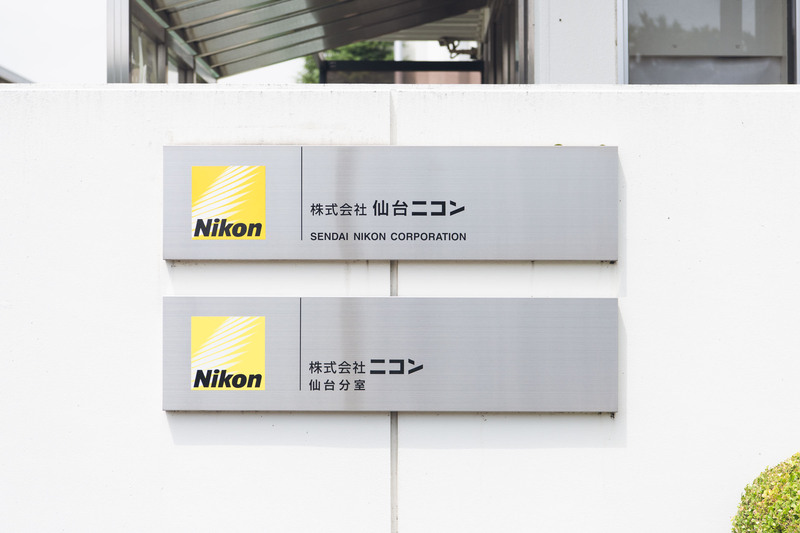 For another, very detailed description of our visit to Nikon’s Sendai facilities, I recommend Dave Etchells’ writeup over at imaging-resource.com. Next post: Art Digital Picture Fs ! !